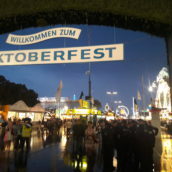 The Wiesn 2017 was the Longest Oktoberfest in history, going for 18 whole days due to the Day of German Unity falling today, on 3rd October, thus extending festivities for two days beyond the traditional end on the third Sunday after tapping. 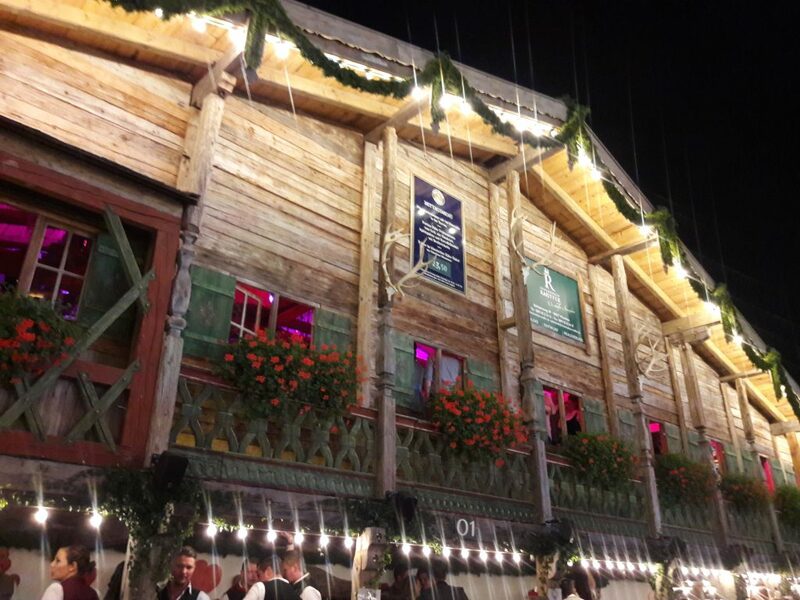 That meant, in turn, that we were in Munich for longer than usual – and saw more different parts of of the Oktoberfest than ever before. The weather matched the variety, delivering everything from a shivering 13°C top temperature on the opening Saturday, 16th September through to sunny mid-twenties the Saturday after – followed by one of the worst storms to ever hit the Theresienwiese on the second Sunday (see our half-time report) and a mixed bag in the second week, too. 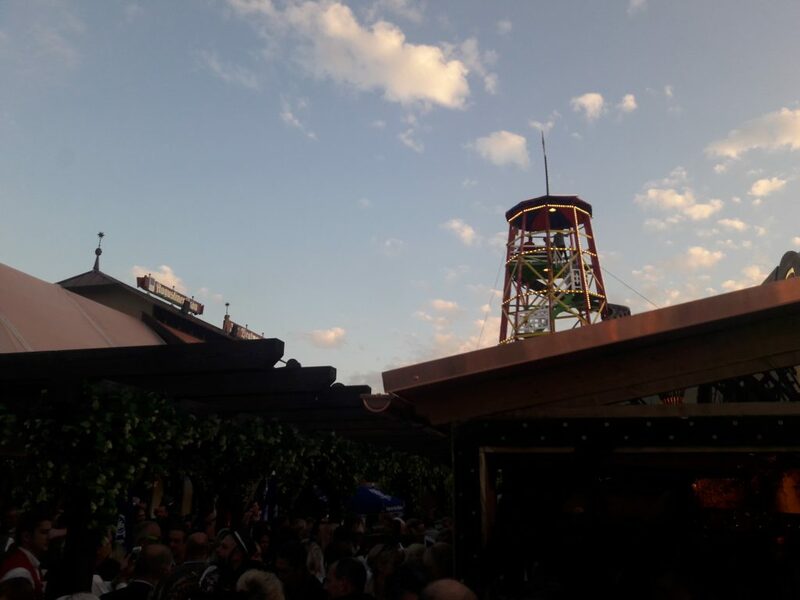 As a result, we did something of everything: enjoying the autumn rays in beer gardens, strolling across the Wiesn 2017 fairground in all its rollercoaster and merry-go-round glory, and getting inside tents – both to shelter from the rain and to enjoy the atmosphere. 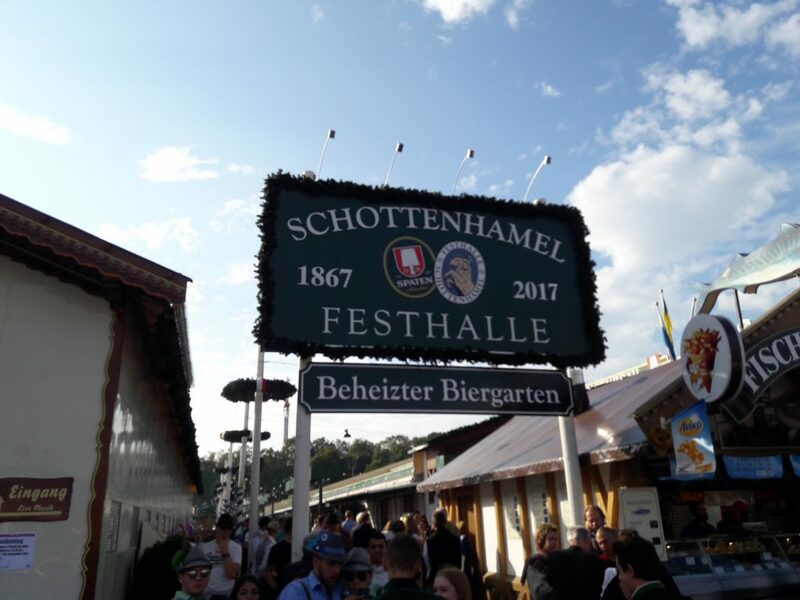 So we thought we’d share a few of the discoveries we made at the Wiesn 2017 with you as, today, the 184th Oktoberfest draws to a close. Peruse our selection of the best pictures from our second week and get some tips for next year! 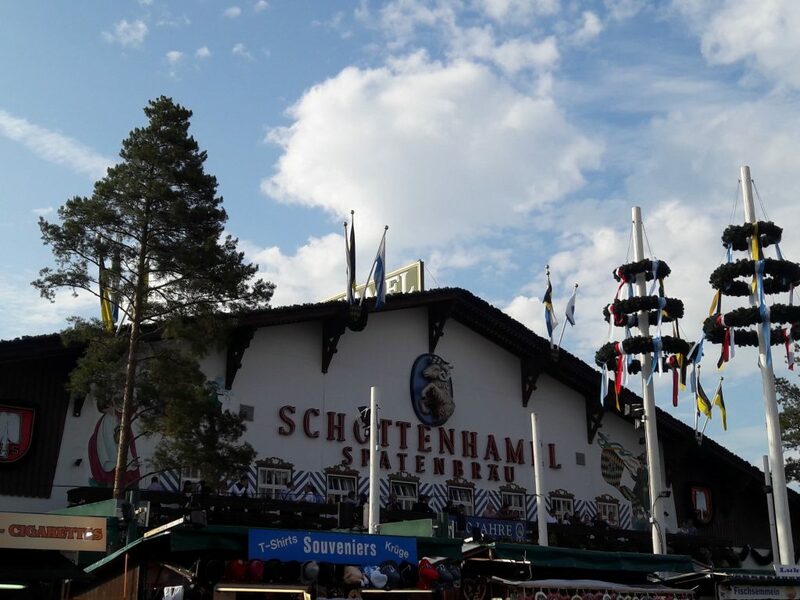 This year saw the Schottenhamel tent, that most traditional of all the big beer tents, turn 150. And even after a century and a half in which defined many of the festivals lasting customs, from drinking special strong beer through to a ceremonial tapping of the keg, it still feels young. How? Mainly because it remains the most popular tent for young Munich locals. It’s an exciting combination between tradition and renewel – and simply a great place to sink a Mass. Old Lady Schottenhamel at 150. Inside, Schottenhamel is still as loud and fun as it always was. 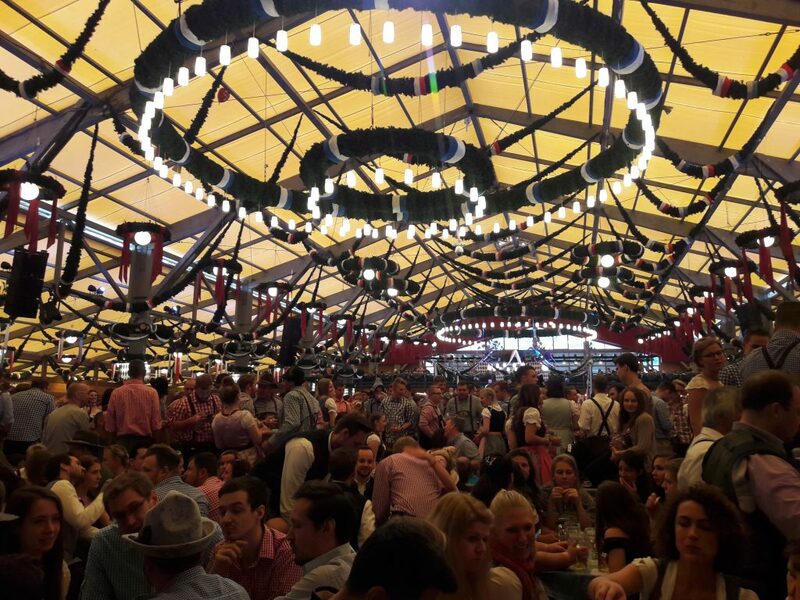 If you want to know what our biggest discovery at the Oktoberfest 2017 was, then it’s definitely Zelt zur Bratwurst – literally “The Tent of the Brat”. 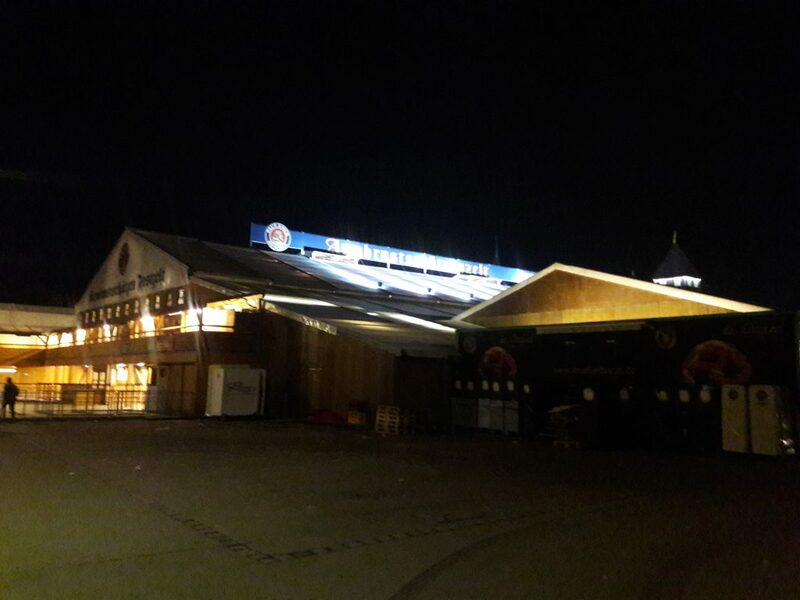 It’s one of the smaller tents (this category also includes other favourites such as Im Schichtl) and does not look, from the outside, in any way like it could house one of Munich’s most exclusive beer tents. But that is precisely what it, beyond the take-away stand at the front, does. You can only get a reservation here if you know the landlord, and so we only got in because we knew someone who had a table (they don’t even let you in to have a look round like in other tents). Nevertheless, once inside, we found it to be extremely cosy and everyone to be very friendly indeed. 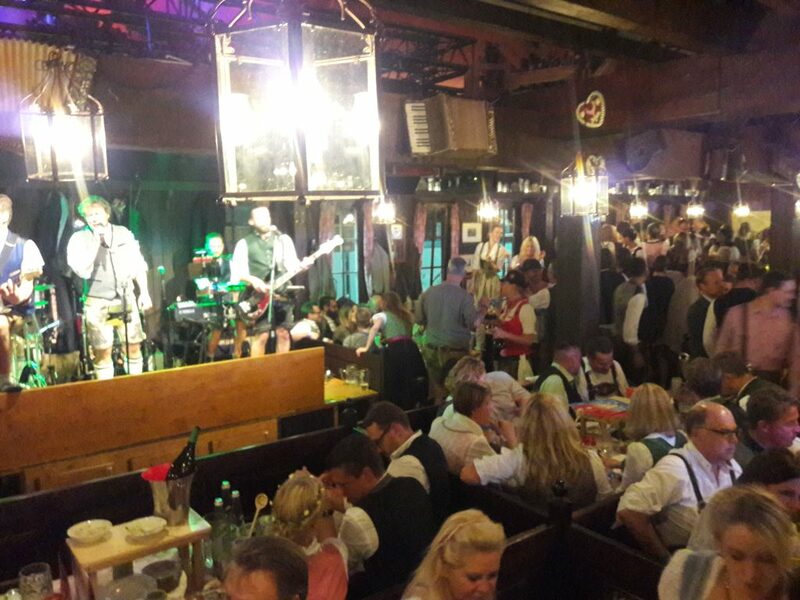 The band really knows how to work a crowd, and although lots of tables were ordering expensive champagne and sides of roast beef at hundreds of Euros a pop, you could get a standard litre of beer at the usual price and try the eponymous sausages for around €12 for six. So if you know someone who knows someone and get the opportunity to go, don’t hesitate for even a moment! The beer garden is more like a beer yard, but that keeps it nice and cosy. 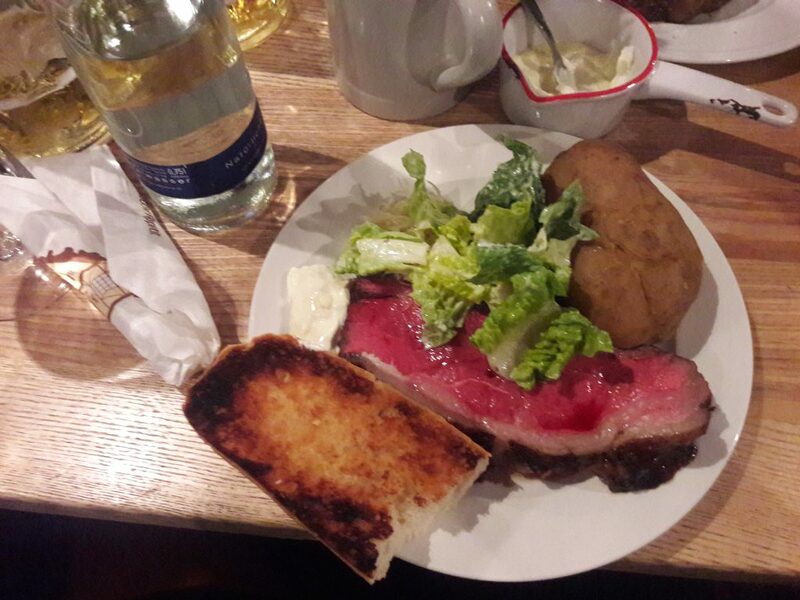 Roast loin of beef for 8-12 people at €400. Ahem. People were standing on the benches as soon as the band hit the stand. 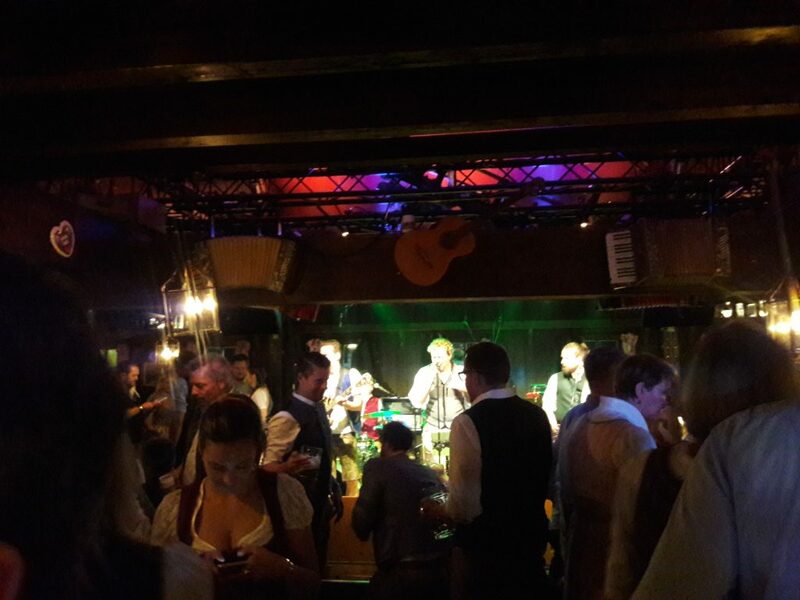 And the band did not stop going until closing time! 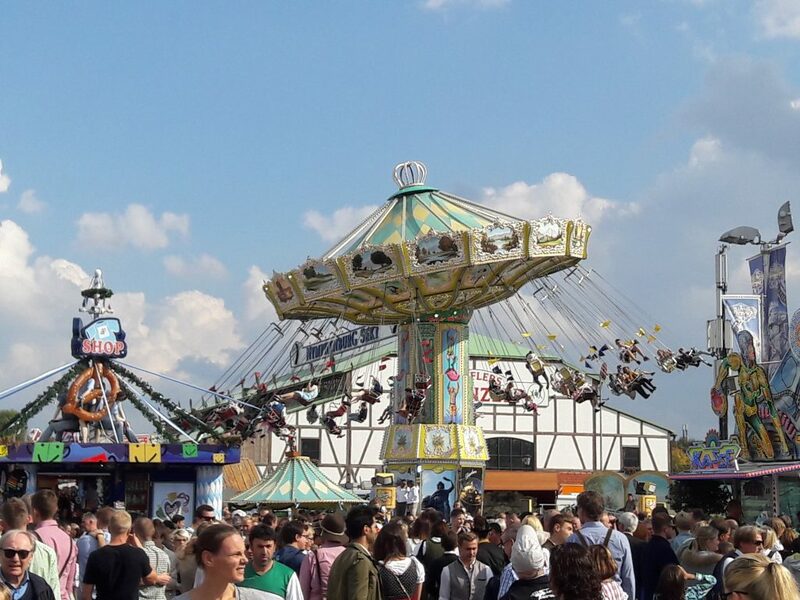 Apparently, this year saw visitor numbers at the traditional Oide Wiesn fall because the rest of the fairground was less packed and more family-friendly in previous years. 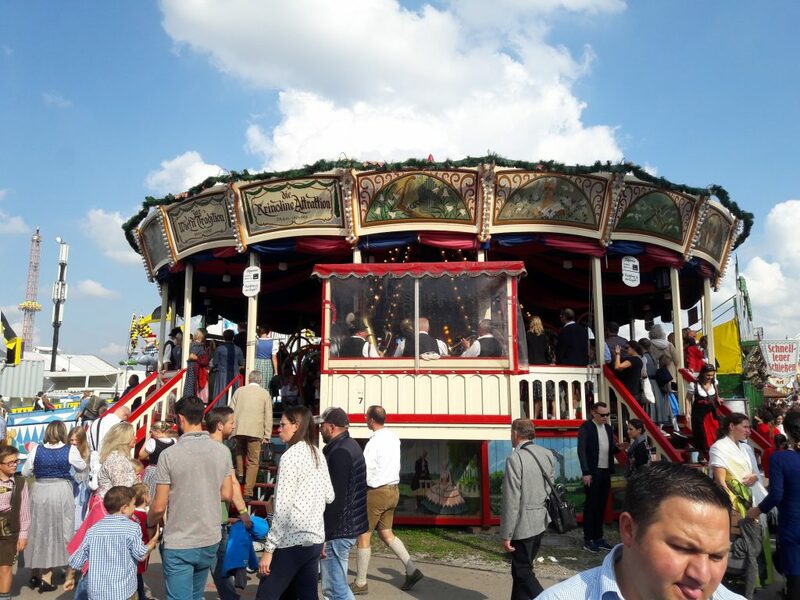 That was certainly the impression we got: why would people pay extra to get into a quieter area when, thanks to the spread over 18 days and moderate overall attendance, there was plenty of opportunity to enjoy classic rides on the freely accessible part of the Theresienwiese? 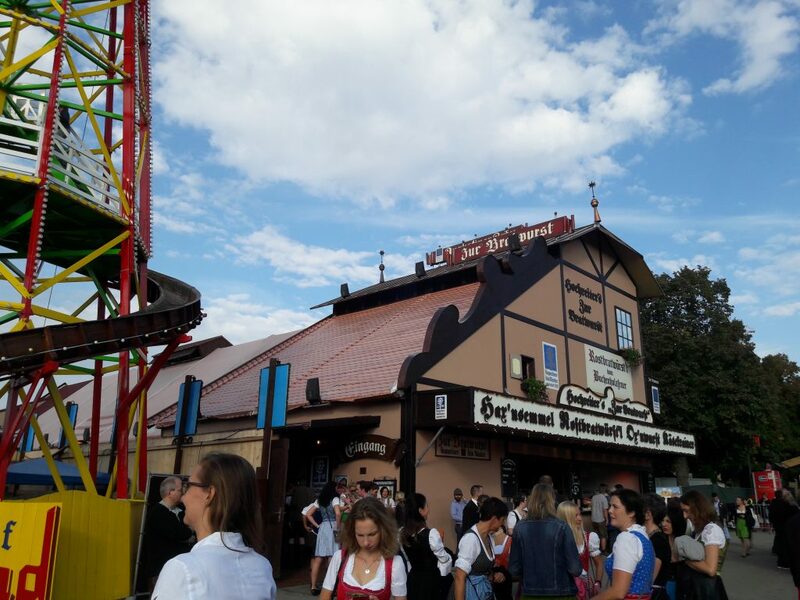 Shame for the Oide Wiesn, of course, and good to know it’s still there if we need it. But this year, we didn’t. 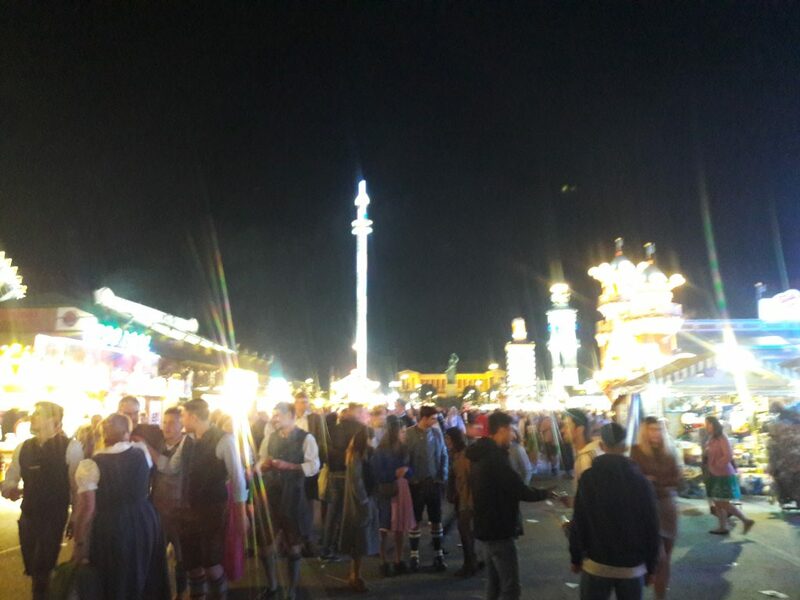 After the agricultural festival last year, the south side of the Wiesn was able to stretch back out. 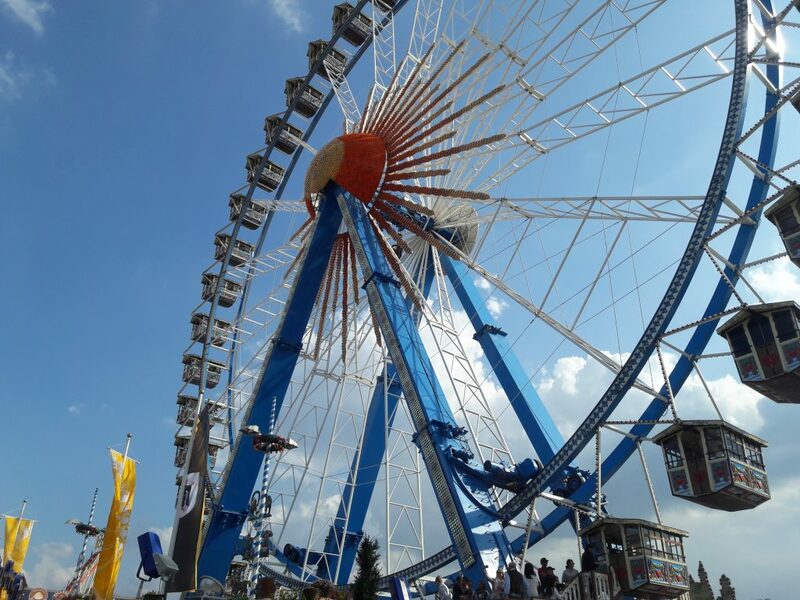 That meant that classic attractions such as the Big Wheel were more easily accessible. The “Krinoline” is another original that is located on the main fairground. 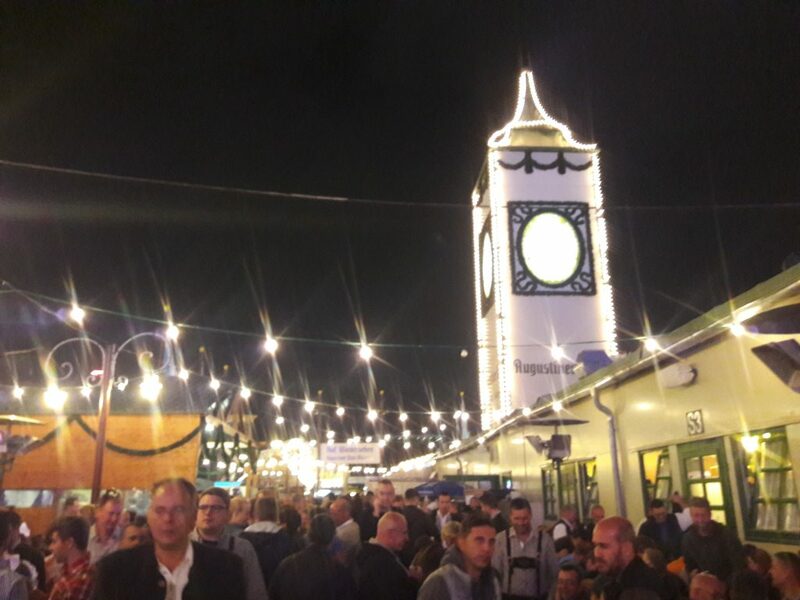 Late night Wiesn 2017: We couldn’t resist! Oh, Käfer, so pleased you’re there. And we’re not the only ones! 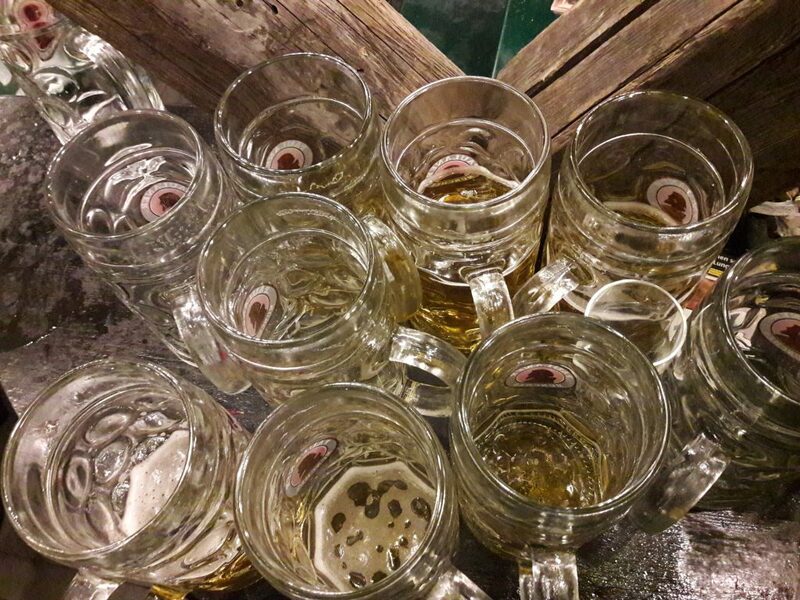 “Go home, Oktoberfest Dirndl Blog, you’re drunk!